Angew. Chem. Int. Ed. 2019, 58, 4381–4385. This article was selected as a Hot Paper. Org. Lett. 2019, 21, 1868–1871. This article was selected as the most read articles on a monthly basis. Bull. Chem. Soc. Jpn. 2019, 92, 545–571. This article was selected as Top Accessed Articles. This article was selected as the Selected Paper. Org. Lett. 2018, 20, 5705–5708. Acta Cryst. 2018, E74, 825–828. Org. Biomol. Chem. 2018, 16, 3864-3875. Acta Cryst. 2018, E74, 555–558. Chem. Asian J. 2018, 13, 1024‒1028. Chem. Lett. 2018, 47, 454‒457. Bull. Chem. Soc. Jpn., 2018, 91, 594-607. J. Am. Chem. Soc. 2017, 139, 18386‒18391. This article was highlighted in SYNFACT (2018, 14, 231). Bull. Chem. Soc. Jpn. 2017, 90, 893‒904. This article was selected as BCSJ award. This article was selected as a front cover. Acta Cryst. 2017, E73, 983–986. J. Am. Chem. Soc. 2017, 139, 2952‒2955. This article was highlighted in SYNFACT (2017, 13, 450). Acta Cryst. 2016, E72, 756‒759. J. Am. Chem. Soc. 2016, 138, 5246‒5249. Acta Cryst. 2016, E72, 343–346. J. Antibiot. 2016, 69, 273‒279. Chem. Eur. J. 2016, 22, 3300‒3303. Chem. Asian J., 2016, 11, 470‒473. Acta. Cryst., 2015, E71, 1528‒1530. Org. Biomol. Chem., 2016, 14, 5486‒5489. This article was invited in New Talent Themed Issue. This article was selected as a HOT article. Acta. Cryst., 2015, E71, 490‒493. Org. Lett., 2015, 17, 2574‒25779. Org. Lett., 2015, 17, 2570‒2573. Acta. Cryst. 2015, E71, 490‒493. 115. Oishi, T.; Fukaya, K.; Yamaguchi, Y.; Sugai, T.; Watanabe, A.; Sato, T.; Chida, N. "Crystal structures of (±)-(1SR,5SR,6SR,7SR,10SR,11SR,13RS,14SR)-13-hydroxy-7-methoxymethoxy-11,15,18,18-tetramethyl-3-oxo-2,4-dioxatetracyclo[12.3.1.01,5.06,11]octadec-15-en-10-yl benzoate, its 13-epimer and 13-one derivative"
Acta. Cryst. 2015, E71, 466-472. Org. Lett. 2015, 17, 1946-1949. Org. Lett. 2015, 17, 1704-1707. 112. Nakajima, M.; Sato, T.; Chida, N. “Iridium-Catalyzaed Chemoselective reductive Nucleophilic Addition to N-Methoxyamides"
Org. Lett. 2015, 17, 1696-1699. 111. Shirokane, K.; Tanaka, Y.; Makoto, Y.; Takayama, T.; Sato, T.; Chida, N. "Total Syntheses of (±)-Gephyrotoxin and (±)-Pergephyrotoxin"
Bull. Chem. Soc. Jan. 2015, 88, 522-537. 110. Oishi, T.; Yamaguchi, Y.; Fukaya, K.; Sugai, T.; Watanabe, A.; Sato, T.; Chida, N. "Crystal structure of (±)-(4RS,5RS,7SR)-4-[(1RS,2RS,3RS,6RS)-3-benzoyloxy-2-(2-hydroxyethyl)-6-methoxymethoxy-2-methylcyclohexyl]-8,10,10-trimethyl-2-oxo-1,3-dioxaspiro[4.5]dec-8-en-7-yl benzoate benzene monosolvate"
Acta. Cryst. 2015, E71, 8-11. 109. Nakajima, M.; Oda, Y.; Wada, T.; Minamikawa, R.; Shirokane, K.; Sato, T.; Chida, N. "Chemoselectve Reductive Nucleophilic Addition to Tertiary Amides, Secondary Amides, and N-Methoxyamides"
Chem. Eur. J. 2014, 20, 17565-17571. 108. 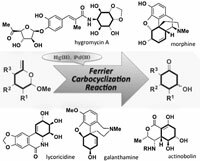 Chida, N.; Sato, T. "Synthesis of Natural Products Containing Cyclohexane Units Utilizing the Ferrier Carbocyclization Reaction" Chem. Rec. 2014, 14, 592-605. 107. Oishi, T.; Yoritate, M.; Sato, T.; Chida, N. "(5R*)-5-[(2S*,5S*)-1-Methoxy-5-phenylpyrrolidin-2-yl]-3-methylfuran-2(5H)-one" Acta Cryst. 2014, E70, o839. Chem. Eur. J. 2014, 20, 8210-8216. This article was selected as VIP (very important paper). Org. Biomol. Chem. 2014, 12, 3147–3150. This is an invited account. This article was selected as one of the most cited articles. Angew. Chem. Int. Ed. 2014, 53, 512‒516. This article was selected as the most accessed articles in 12/2013. This article was selected as the most accessed articles in 11/2013-10/2014. This article was highlighted in SYNFACT (2014, 10, 116). 103. Nakayama, Y.; Sekiya, R.; Oishi, H.; Hama, N.; Yamazaki, M.; Sato, T.; Chida, N. “The Cascade- and Orthoamide-type Overman Rearrangements of Allylic Vicinal Diols” Chem. Eur. J. 2013, 19, 12052‒12058. Chem. Eur. J. 2013, 19, 678-684. This article was highlighted in Organic Chemistry Portal. 101. Ichiki, M.; Tanimoto, H.; Miwa, S.; Saito, R.; Sato,; Chida, N. "Synthesis of (-)-Morphine: Application of Sequential Claisen/Claisen Rearrangement of an Allylic Vicinal Diol"
Chem. Eur. J. 2013, 19, 264-269. This article was selected as the most read article Top 25 on an annually basis. 100. Oishi, T.; Oishi, H.; Tsuzaki, S.; Sato, T.; Chida, N. "(+)-(1S,5R,6R)-6-[(S)-1-Hydroxy-2-(methoxymethyloxy)ethyl]-1-methyl-3-trichloromethyl-2-aza-4,7-dioxabicyclo-[3.3.0]oct-2-en-8-one"
Acta Cryst. 2012, E68, o3185. 99. Kitamoto, K.; Nakayama, Y.; Sampei, M.; Ichiki, M.; Furuya, N.; Sato, T.; Chida, N. "Chirality Transfers via Sequential Sigmatropic Rearrangements of Allylic Vicinal Diols: Development and Application to Total Synthesis of (‒)-Kainic Acid", Eur. J. Org. Chem. 2012, 4217-4231. 98. Kurosaki, Y.; Shirokane, K.; Oishi, T.; Sato, T.; Chida, N. “Concise Synthesis of α-Trisubstituted Amines from Ketones using N-Methoxyamines”, Org. Lett. 2012, 14, 2098-2101. 97. Oda, Yukiko,; Sato, T.; Chida, N. “Direct Chemoselective Allylation of Inert Amide Carbonyls”, Org. Lett. 2012, 14, 950-953. This article was highlighted in SYNFACT (2012, 14, 428). 96. Hama, N.; Aoki, T.; Miwa, S.; Yamazaki, M.; Sato, T.; Chida, N. "Total Synthesis of Broussonetine F: The Orthoamide Overman Rearangement of an Allylic Diol", Org. Lett. 2011, 13, 616-619. This article was selected as the most read articles for quarter 1, 2011. 95. Kaiya, Y.; Hasegawa, J.; Momose, T.; Sato, T.; Chida, N. “Total Synthesis of (‒)-Salinosporamide A”, Chem. ‒ Asian J. 2011, 6, 209-219. 94. Kato, T.; Tanimoto, H.; Yamada, H.; Chida, N. "Total Synthesis of (+)- and (-)-Galanthamine", Heterocycles, 2010, 82, 563-579. 93. Kitamoto, K.; Sampei, M.; Nakayama, Y.; Sato, T.; Chida, N. “Novel Sequential Sigmatropic Rearrangements of Allylic Diols: Application to the Total Synthesis of (‒)-Kainic Acid”, Org. Lett. 2010, 12, 5756-5759. 92. Shirokane, K.; Kurosaki, Y.; Sato, T.; Chida, N., A Direct Entry to Substituted N-Methoxyamines from N-Methoxyamides via N-Oxyiminium Ions, Angew. Chem. Int. Ed. 2010, 49, 6369‒6372. For highlight of this paper, see SynFacts 2010, 12, 1412. This article was highlighted in Chasing methodologies that are not there. 91. Momose, T.; Kaiya, Y.; Hasegawa, J.; Sato, T.; Chida, N., Formal Synthesis of Salinosporamide A Starting from D-Glucose, Synthesis. 2009, 17, 2983-2991. 90. Yamanaka, H.; Sato, K.; Sato, H.; Iida, M.; Oishi, T.; Chida, N., Total synthesis of mycestericin A and its 14-epimer, Tetrahedron 2009, 65, 9188-9201. 89. 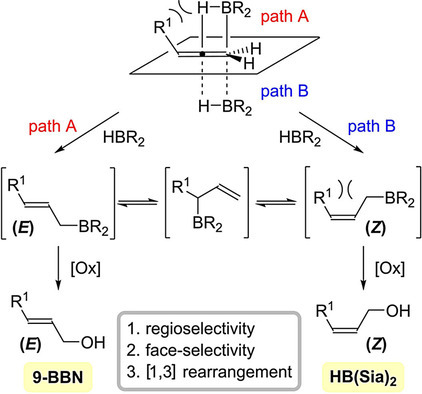 Hama, N.; Matsuda, T.; Sato, T.; Chida, N., Total Synthesis of (-)-Agelastatin A: The Application of a Sequential Sigmatropic Rearrangement, Org. Lett. 2009, 11, 2687-2690. For highlight of this paper, see SynFacts 2009, 12, 1314. 88. Ueno, A.; Kitawaki, T.; Chida, N., Total Synthesis of (+/-)-Murrayazoline, Org. Lett. 2008, 10, 1999-2002. 87. Sato, H.; Sato, K.; Iida, M.; Yamanaka, H.; Oishi, T.; Chida, N., Total Synthesis of Mycestericin A, Tetrahedron Lett. 2008, 49, 1943-1947. 86. Momose, T.; Hama, N.; Higashino, C.; Sato, H.; Chida, N., Total Synthesis of A-315675 Based on the Cascade Overman Rearrangement, Tetrahedron Lett. 2008, 49, 1376-1379. 85. Tanimoto, H.; Saito, R.; Chida, N., Formal Synthesis of (-)-Morphine from D-Glucal Based on the Cascade Claisen Rearrangement, Tetrahedron Lett. 2008, 49, 358-362. 84. Tanimoto, H.; Kato, T.; Chida, N., Total Synthesis of (+)-Galanthamine Starting from D-Glucose, Tetrahedron Lett. 2007, 48, 6267-6270. 83. Bohno, M.; Sugie, K.: Imase, H.; Binti Yusof, Y.; Oishi, T.; Chida, N., Total Synthesis of Amaryllidaceae Alkaloids, (+)-Vittatine and (+)-Haemanthamine, Starting from D-Glucose, Tetrahedron 2007, 63, 6977-6989. 82. Ohno, H.; Terui, T.; Kitawaki, T.; Chida, N., Total Syntesis of Dapiramicin B, Tetrahedron Lett. 2006, 47, 5747-5750. 81. Kitawaki, T.; Hayashi, Y.; Ueno, A. Chida, N., One-step Construction of Carbazoles by way of the Palladium-Catalyzed Double N-Arylation Reaction and Its Application to the Total Synthesis of Murrastifoline-A, Tetrahedron 2006, 62, 6792-6801. 80. Imuta, S.; Tanimoto, H.; Momose, K. M.: Chida, N., Total Synthesis of Actinobolin from D-Glucose by way of the Stereoselective Three-component Coupling Reaction, Tetrahedron 2006, 62, 6926-6944. 78. Kitawaki, T.; Hayashi, Y.; Chida, N., Total Synthesis of Murrastifoline-A by way of the Pd-Catalyzed Double N-Arylation of a Carbazolamine with a 2,2-Dibromobiphenyl Derivative, Heterocycles 2005, 65, 1561-1567. 77. Sato, H.; Maeba, T.; Yanase, R.; Yamaji-Hasegawa, A.; Kobayashi, T.; Chida, N., Total synthesis and biological activities of (+)-sulfamisterin (AB5366) and its analogues, J. Antibiot. 2005, 58(1), 37-49. 76. Kurosawa, K.; Matuura, K.; Chida, N., Total synthesis of stevastelins B3 and C3: structure confirmation of stevastelin B3 and revision of stevastelin C3, Tetrahedron Lett. 2005, 46, 389-392. 75. Bohno, M.; Imase, H.; Chida, N., A new entry to Amaryllidaceae alkaloids from carbohydrates: total synthesis of (+)-vittatine, Chem. Commun. 2004, 1086-1087. 74. Ohba, S.; Chinen, A.; Matsumoto, Y.; Chida, N., (+)-(1S,2S,4S,4aR,5R,6S,9S,10S)-4-Benzyloxy-9,10-(carbonyldioxy)-1-methoxymethoxy-4a,6,8,8-tetramethyl-7-methylenedodecahydro-6,9-ethnobenzocyclooctene-5-ol, Acta Cryst. 2003, E59, o-1476. 73. Ohba, S.; Sato, H.; Iida, M.; Chida, N., (+)-Methyl (4R,5S)-4-[(R)-1-hydroxybut-3-enyl]-5-2,2-dimethyl-trichloroacetamido-1,3-dioxane-5-carboxylate, Acta Crystallogr., Sect. E 2003, E59, o1259-o1260. 72. Imuta, S.; Ochiai, S.; Kuribayashi, M.; Chida, N., New synthesis of (-)- and (+)-actinobolin from D-glucose, Tetrahedron Lett. 2003, 44, 5047-5051. 71. Suzuki, T.; Chida, N., The new and efficient synthesis of a heptose moiety of spicamycin, Chem. Lett. 2003, 32, 190-191. 70. Ohba, S.; Matsuura, K.; Suzuki, T.; Chida, N., 2-Chloro-4-(4-methoxybenzyloxy)pyrimidine, Acta Crystallogr., Sect. E 2002, E58, o1200-o1201. 69. Oishi, T.; Ando, K.; Inomiya, K.; Sato, H.; Iida, M.; Chida, N., Total synthesis of (+)-myriocin and (-)-sphingofungin E from aldohexoses using Overman rearrangement as the key reaction, Bull. Chem. Soc. Jpn. 2002, 75, 1927-1947. 68. Kurosawa, K.; Nagase, T.; Chida, N., Total synthesis of (-)-stevastelin B, Chem. Commun. 2002, 1280-1282. 67. Suzuki, T.; Suzuki, T. S.; Yamada, I.; Koashi, Y.; Yamada, K.; Chida, N., Total synthesis of spicamycin, J. Org. Chem. 2002, 67, 2874-2880. 66. Oishi, T.; Ando, K.; Inomiya, K.; Sato, H.; Iida, M.; Chida, N., Total synthesis of sphingofungin E from D-glucose, Org. Lett. 2002, 4(1), 151-154. 65. Oishi, T.; Ando, K.; Chida, N., Stereoselective total synthesis of (+)-myriocin from D-mannose, Chem. Commun. 2001, 1932-1933. 64. Momose, T.; Setoguchi, M.; Fujita, T.; Tamura, H.; Chida, N., Chiral synthesis of the CD ring unit of paclitaxel from D-glucal, Chem. Commun. 2000, 2237-2238. 63. Kani, Y.; Ohba, S.; Oishi, T.; Ando, K.; Inomiya, K.; Chida, N., (2S,3R,4S,5R,6S)-6-Benzyloxymethyl-4-(methoxymethyloxy)-9-oxa-1-azabicyclo[4.3.0]nonane-2,3,5-triyltriacetate, Acta Crystallogr., Sect. C, 2000, C56, e223. 62. Kani, Y.; Ohba, S.; Amano, S.; Ogawa, N.; Ohtsuka, M.; Chida, N., (1R,2R,3S,4S)-2-[(2R,3S)-2,3-Dimethyloxiran-2-yl]-3,4-bis(4-methoxybenzyloxy)cyclohexanol, Acta Cryst. 2000, C56, e222. 61. Suzuki, T.; Tanaka, S.; Yamada, I.; Koashi, Y.; Yamada, K.; Chida, N., Total synthesis of spicamycin amino nucleoside, Org. Lett. 2000, 2(8), 1137-1140.